With a brand new year come brand new remodel projects. If you’re ready to get started on your project, we’re ready to help! One obvious place to begin is by finding a remodeling expert…but not just any old expert – the right one! You may think it’s as easy as hopping online and entering your search engine criteria, but that’s just one small piece of the pie. We’ve written many tips for finding the right remodeling expert, so here’s a refresher. Choose a reputable dealer or remodeler – Choosing a dealer can be a lot like dating. It’s important that you feel comfortable with your choice and that you get to know the expert before trusting them with your project. Look for warning signs that they may not be a fit before getting too involved. Refresh here: How to Choose a Reputable Cabinet Dealer. Designer product knowledge matters – Kitchen and bath professionals should know the products they sell like the back of their hand. Sure, they sometimes add new products, and promotions change, but their job is to be the expert. They should be confident and you should feel like there is good communication between the two of you. If they give you the sense that they are dodging questions, you may want to head elsewhere. Refresh here: Why a Kitchen Designer’s Product Knowledge Matters. 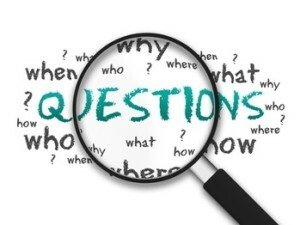 Ask the right questions – You won’t know if you don’t ask. What kind of experience does this dealer or remodeler have with projects similar to yours? Do they have any references? How about an expected timeframe on your type of project? A remodel isn’t a small task you would let just anyone handle (at least we hope not), so make sure the company you choose is reliable and fits your criteria. Refresh here: Questions to Ask Your Local Kitchen Dealer. Who you trust with your remodel will make a big difference in the outcome of your final project, so make sure you choose wisely. Take the time to make sure you have a good feeling about your kitchen or bath vendor, and don’t ever feel pressured to begin before you’re ready.